Your wellbeing is our top priority at Sherwood Village Apartment & Townhomes. Featuring beautifully appointed living spaces and a collection of upgraded amenities, our community is your home for comfort and style. 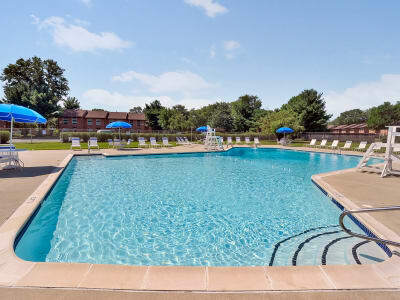 When you want to unwind, put your feet up in your spacious Eastampton, NJ, apartment. If cooking is your stress-relief, take advantage of the premium stainless-steel sink and available granite countertops in your fabulous kitchen. Outside your home, you’ll find more opportunities for leisure. Set on 40 acres of professionally landscaped lawns, our community offers relaxing and picturesque vistas. Go for a dip in the resort-inspired outdoor swimming pool. Play a game of fetch with your dog at the sprawling onsite dog park. However you like to unwind, you will find an amenity to suit your lifestyle. There’s always more to explore at Sherwood Village Apartment & Townhomes in Eastampton, New Jersey. Give us a call to schedule a walkthrough.